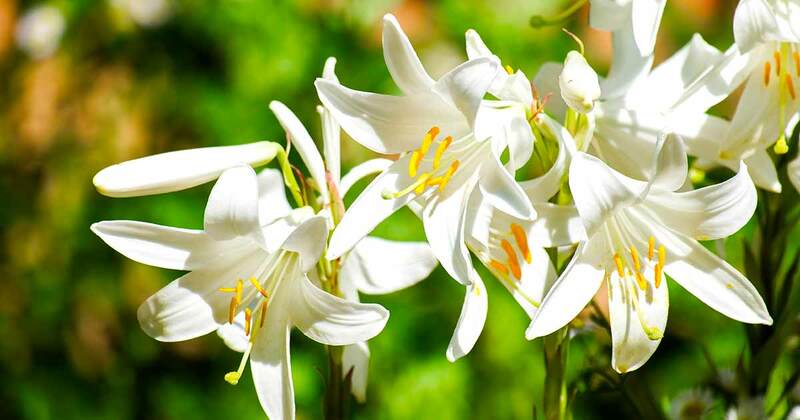 The latter term denotes “lilies.” The term likely suggests a particular tune to which the psalm would be sung, named after the beautiful white flowers of Palestine’s valleys. It is classified as a “Psalm of David.” Though these superscriptions are not a part of the original text, they are nonetheless very ancient — antedating even the Septuagint. For those who accept the inspired testimony of the apostles, the issue is settled. Psalm 69 obviously relates to a point in David’s life when he was in difficult straits from numerous enemies. There were several periods in the shepherd-king’s life that could correspond with the sentiments here expressed. In this plaintive song, David calls for the Lord’s deliverance from the hands of his enemies and for the justice of divine punishment upon his adversaries. vv. 1-2 — In the midst of his distress, David knows that his only source of assistance is his Creator, hence his petition: “Save me, O God.” His plight is described as though he were being engulfed with a flood, the waters swirling in even unto his soul. His very “life” is threatened. He feels as if he were sinking down into quicksand; indeed, it was like drifting into deep waters where nothing but doom awaited. v. 3 — The Psalmist’s emotional anguish, in view of his troubles, is poignantly depicted. He has wept so much that such has exhausted his strength. One is reminded of the Lord’s disciples, who, in the agonies of Gethsemane, slept “from sorrow” (Luke 22:45). His throat is parched and his vision fails as he waits for Jehovah’s deliverance. While the circumstances may appear desperate, nonetheless, he will wait for the Creator to respond to his needs. All of God’s children need to learn: “Rest in Jehovah, and wait patiently for him” (Psalm 37:7). v. 4 — David declares that his enemies, who are many (more than the hairs of his head) — perhaps hyperbole — have hated him unjustly. He acknowledges the strength of his enemies, but their attempts to destroy him are ill directed, for he is innocent of their false charges. Apparently he has been accused of criminal conduct, and even forced to repay that which he had not taken. His character has been maligned. It is of further interest to note that when Jesus quoted this passage, he attributed it to the “law,” thus demonstrating that the psalms were a portion of the law. This invalidates the argument employed by some, who, attempting to justify the modern use of certain Old Testament practices (e.g., the use of mechanical instruments of music in worship), contend that though the “law” was abolished at the cross (Colossians 2:14), the psalms remain as legal precedent for religious practices (cf. John 10:34; Romans 3:10-19). v. 5 — Though David’s suffering at the hands of his enemies was undeserved — actually, it was for the Lord’s sake (v. 7) — it is nevertheless generally true that when we are in great distress we tend to reflect upon our transgressions. The king acknowledges, therefore, his sins. He equates sin with foolishness. God’s definition of foolishness is vividly portrayed in Jeremiah 4:22. “For my people are foolish, they know me not; they are sottish [senseless] children, and they have no understanding; they are wise to do evil, but to do good they have no knowledge.” The shepherd-king is aware of the fact that “the eyes of Jehovah are in every place, keeping watch upon the evil and the good” (Proverbs 15:3); indeed, “all things are naked and laid open before the eyes of him with whom we have to do” (Hebrews 4:13). We are responsible for our conduct before the Ruler of the universe. v. 6 — This passage reveals David’s genuine interest in the holy cause of God. He is concerned that his ill treatment, which many would assume was the result of some sin, would bring reproach upon the Lord’s faithful people. He prays that it may not be so. He does not want dishonor brought upon the saints through him. Ought not we likewise to be concerned for any detrimental effect that our influence might have upon our brethren in the Lord? vv. 7-8 — Contrary to his reproach being on account of personal sin (cf. 1 Peter 4:15), David’s persecution has been for the sake of Jehovah (cf. Jeremiah 15:15). The expression “shame hath covered my face” indicates that his dishonor is constantly before him (cf. Psalm 44:15). A part of the king’s suffering was due to the fact that even his kinsmen treated him as if he were a stranger. They were ashamed to be identified with him. Even some of his brothers acted as though he were a foreigner. Job had suffered a similar experience (cf. Job 19:3ff); indeed, our Lord also felt the reproach of his kinfolk (cf. Mark 16:14). v. 9 — David was consumed with zeal for the house of God. The term “house” could denoted the temple, and his meticulous preparation for the building thereof (1 Chronicles 22:1ff). Or, “house” might suggest the nation of Israel (cf. Numbers 12:7; Hosea 8:1), and David’s passion for its fidelity to the Lord (cf. Jeremiah 12:7). Christ’s disciples were reminded of this passage when they observed him driving the money-changers from the temple early in his ministry (John 2:17). No one has ever rivaled Jesus in his zeal for the cause of God! The psalmist continues by affirming that he had borne the reproaches of them who were contemptuous of God. Paul, in discussing how Christians should seek to please one another unto edifying (in matters of expediency, e.g., eating meats), cited this passage, and made the application to Jesus Christ, who, being utterly selfless, was willing to bear our reproaches. If the Lord could bear the penalty for our sins, can we not accommodate one another in lesser matters? Again we must chastise those who disclaim any Messianic implication in the original psalm. “The eyes of those who maintain that Psalm 69:9 simply records the outcry of a devout child of God, and has nothing to do with the Messiah, are covered with a veil” (Hendrickson, p. 471; cf. 2 Corinthians 3:14). vv. 10-12 — Even when David evidenced the most genuine signs of devotion and contrition (likely on behalf of his nation’s sins), e.g., weeping, fasting, and the wearing of sackcloth, such only compounded his persecution. He became the object of constant talk and ridicule (cf. Psalm 44:14); the elders of the community gossiped about him at the city gate, and the drunkards taunted him with the blubbering songs. v. 13 — In view of his great distress, David lifts up a prayer to Jehovah for deliverance “in an acceptable time.” The expression denotes a time that is consistent with God’s good pleasure. An important part of devout prayer is the recognition and extolling of the Creator’s character, hence, David appropriately speaks of Heaven’s overflowing loving-kindness. Even in suffering no trace of bitterness tarnishes his lips. But the petitioner begs for an answer to his prayer; a response would thus demonstrate that Jehovah does save. vv. 14-15 — In this petition to God, David returns to the figurative flood/mud motif of verses 1-2. He asks for deliverance from the mire and deep waters, which he explains as the wrath of “them that hate me.” He trusts that this flood of persecution will not overwhelm him; indeed that “the pit” will not shut its mouth upon him. This latter expression is a symbol for death (cf. Psalm 55:23). vv. 16-18 — Again the author praises the Lord for the goodness of his loving-kindness, which is “better than life” (63:3), and which endures forever (100:5). David begs that God, consistent with the multitude of his tender mercies, will turn to him (i.e., help him out of his present difficulties). He beseeches the Lord to “hide not thy face from me,” which suggests that he does not want the Creator to be angry with him (cf. 27:9). He trusts that his deliverance will be speedy. “It is not wrong to ask God to interpose at once in our behalf when we are in trouble, though it is our duty to be patient and resigned if his interposition is delayed, for he may have important ends to accomplish by our continuing to suffer” (Barnes, p. 226). The book of Job establishes this very truth. David longs for intimate contact with Jehovah, hence, asks God to draw near to his soul. “Soul” frequently stands for life, hence, the petition may be for God to intervene and save his life from those enemies who sought to destroy him. vv. 19-21 — The persecutions of his enemies have brought upon David reproach, shame, and dishonor. But he knows that God is mindful of such. Moreover, he declares his confidence in the fact that Jehovah knows the identity of these malevolent adversaries. The humiliation of his hardships had broken the prophet’s heart, which he compares to a dreadful, incurable sickness (cf. Jeremiah 15:18). He desperately needs some consolation from a friend, but when he sought for comfort, he found none. Instead, the king’s fair-weather friends were not content to merely refuse their sympathy, “they aggravated and embittered his sufferings, as though one were to mock a hungry man by offering him bitter and poisonous food, or a thirsty man by giving him sour and undrinkable wine” (Kirkpatrick, pp. 403-404). “The coincidence in the cases of David and the Saviour was remarkable; but in the case of the Saviour no further use is made of what occurred to David than to employ the language which he employed to describe his own sufferings. The one was not, in any proper sense, a type of the other; nor does the language in the psalm refer to the Savior” (pp. 227-228). On the other hand, since, as we have noted already, there are definite Messianic allusions already incorporated into this psalm, it is impossible to escape the impression that David’s experience was typical of Christ’s. According to Matthew’s account: “And when they were come unto a place called Golgotha, that is to say, The place of a skull, they gave him wine to drink mingled with gall: and when he had tasted it, he would not drink” (27:34). This is in harmony with 21a. Moreover, the text declares that in his thirst, he would be given vinegar to drink. The apostle John affirms that Christ, “knowing that all things are now finished, that the scripture might be accomplished, says, I thirst.” Hence, on the cross the Savior was given vinegar in his thirst (cf. John 19:28-30). What scripture was the Lord referring to, if not Psalm 69:21? George Rawlinson notes that while the words might be metaphorically and loosely applied to David, they are “in the strictest and most literal sense applicable to Christ” (p. 54). The following section is classified as an “imprecatory” utterance of the psalmist, i.e., the calling forth of a curse, of evil, upon one’s enemies. The liberal critics of the Bible castigate these sections (cf. Psalms 35; 109; 137; etc.) as being unworthy of inspired literature. The claim is made that these imprecations are far below the lofty tone of the New Testament. The Interpreter’s Bible Commentary characterizes this portion of Psalm 69 as “A Mistaken Prayer,” and declares that “it represents the dangerous excess of zealotry” (Taylor, p. 366). We utterly deny that allegation and urge the careful reader to consider the following facts. First, in Acts 1:20, Peter quotes from 69:25, and declares that it was the Holy Spirit that spake through the mouth of David (cf. 1:16). The material thus does not represent David’s personal vindictiveness. Second, it must be recognized that the Hebrew language is a very graphic medium of communication, rich in bold metaphors designed to display the passion of burning religious zeal, and one must be careful not to literalize every expression. Third, David was king of Israel; a rejection of the person who represented divine authority was thus a rejection of God himself (cf. 1 Samuel 8:7). These pronouncements, therefore, were not hasty, emotional eruptions of personal vengeance; rather, they were dramatic expressions suggesting the need for divine justice upon those who set themselves against the cause of truth. Additionally, it has been well noted that every imprecatory prayer that seeks judgment upon those who oppose the reign of God is based upon the assumption of the wicked’s continued impenitence (Delitzsch, p. 74). Finally, even the New Testament contains examples of imprecations. Of certain Judaizers Paul wrote: “I would that they that unsettle you would even go beyond circumcision” (i.e., mutilate themselves — ASVfn; Galatians 5:12). Again the apostle wrote: “Alexander the coppersmith did me much evil; the Lord will render to him according to his works?” (2 Timothy 4:14). A proper plea for divine justice is not unethical! vv. 22-23 — Though the enemy is comfortably reposed at his table, in peace and security, the petition is that such may be turned into a snare or trap, hence, punishment rendered. As for those who oppose God in their supposed illumination, let their eyes be darkened, and may their loins continually shake, i.e., their backs be bowed down perpetually (LXX). The spirit of ungodliness, so characteristic of the king’s foes, found its ultimate fulfillment in the rebellion of the Jewish nation toward David’s illustrious Seed — as indeed Paul, by inspiration, reveals in Romans 11:9. There, he quotes this very passage (following the Septuagint) and applies it to the perpetual hardness of the nation of Israel regarding the Messiah, and the divine penalty imposed in consequence thereof. “Certainly, in this place, there is no suggestion that after certain centuries have passed, or after the Gentiles are saved, God will commute the sentence and restore them!” (Coffman, p. 396). vv. 24-25 — The psalmist prays that Heaven’s indignation might be poured out upon these persecutors; that Jehovah’s fierce anger would overtake them. Oh, that their habitations might be made desolate — their tents emptied! This passage is quoted by Peter in Acts 1:20 (combined with a citation from Psalm 109:8 — “His office let another take”) as applicable to the apostate Judas who fell from his apostolic office and was replaced by Matthias. Again, the claim frequently is made that the original text had no reference to Judas. That simply is not consistent with Peter’s affirmation, for he said: “. . . the Holy Spirit spake before by the mouth of David concerning Judas, who was guide to them that took Jesus” (Acts 1:16). Peter’s employment of Psalm 69:25 should place David’s “imprecation” in a proper light! Moreover, Christ himself may well have had this verse in mind when, in speaking of the coming doom of national Israel, he said: “Behold, your house is left unto you desolate” (Matthew 23:38). vv. 26-28 — The wicked, of whom David speaks, are so crude that they even add to the suffering of those who labor already under the chastening hand of the Lord. These persecutors delighted in speaking about the plight of those who were afflicted. The evil ones are so vile that the king prays that Jehovah will simply let them alone as their iniquities multiply. He trusts that in their rebellion they will not be permitted to enter God’s righteousness (where pardon, of course, is found). It would be injurious to the holy cause of God if their sins were simply overlooked. In view, therefore, of their disposition to flout the will of the Creator, and to persecute the innocent, let their name be blotted out of the book of life. The meaning is: let them not be accounted among the righteous; mete out the punishment they deserve. vv. 29-31 — In contrast to his enemies, who appear to be outwardly prosperous, but who will soon suffer disaster, David, now in misery, but anticipating deliverance, sings a song of praises to his God. The king thus says: “But I [in contrast to his persecutors who deserve punishment] am poor and sorrowful.” He is describing his physical and mental distress. He petitions, however, that God will send salvation (i.e., deliverance) and so exalt him on high, bringing him out of his misery. In consequence thereof, he would praise God with a song and magnify him with thanksgiving. His promise to magnify Jehovah is in the true spirit of evangelism. Others should know of our devout feelings for the God of heaven! David is confident that such devotion of praise and magnification would please Jehovah more than a mere animal gift. The reference to horns and hoofs suggests a mature, clean offering. He does not mean to minimize the requirements of the law; rather, he is emphasizing the importance of true, heartfelt devotion compared even to the very best of sacrifices. vv. 32-33 — David now speaks of the effect of his deliverance. Others — the meek, i.e., those who are disposed to trust God and submit to his will — have seen his exaltation from difficulty and they are glad. And so, this exhortation is appropriate: “All of you who seek after God, let your heart live.” The meaning is: take courage; let your spirits be revived! Jehovah does hear those who are in need, and he does not despise his prisoners. The expression “his prisoners” may denote those who are bound by affliction under the hand of Providence, or perhaps those who suffer in confinement due to their fidelity to truth. the place of salvation (Psalm 14:7). The Lord will thus save his people and no others. The building of the cities of Judah, and the abiding there, constitutes figurative language expressing confidence in the blessings for, and security of, those who are in the service of Jehovah. The promise is given to generations who shall yet arise; specifically, to those who love the name of God, i.e., they make it their aim to faithfully obey his will. The foregoing prophecy has no reference at all to any alleged repossession of Palestine by the Jews, as taught in premillennial theology. In principle, it does have an application to the blessings enjoyed in the church of Jesus Christ. Batey, Richard (1969), The Letter to Paul to the Romans (Austin, TX: Sweet Publishing Co.). Barnes, Albert (n.d.), “Psalms,” Notes on the Old Testament (London: Blackie and Son). Delitzsch, F. (1978), “The Psalms,” Commentary on the Old Testament, (Grand Rapids, MI: Eerdmans), Vol V.
Hendrickson, William (1981), “Romans,” New Testament Commentary (Grand Rapids, MI: Baker). Rawlinson, George (1962), “The Book of Psalms,” Pulpit Commentary, Joseph Spence, Ed. (Grand Rapids, MI: Eerdmans), Vol. II. Taylor, William R. (1955), “Psalms,” The Interpreter’s Bible, G.A. Buttrick, Ed. (New York: Abingdon), Vol. IV.